Jellyfish are fascinating animals, visually. 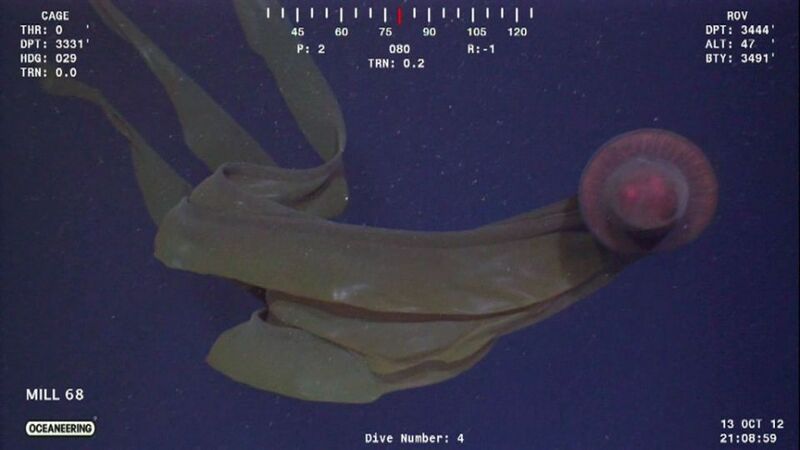 Some of them, with their long tentacles and glowing, bulbous bodies, resemble something from a science fiction movie. The really large ones look intimidating, especially if you consider that they are predatory animals and they sting their prey before eating them. Yet, humans are realtively safe from death by jellyfish. The larger ones aren’t venomous enough to kill us. It’s really the smaller ones you have to worry about. Jellyfish are more important to the ecosystems in their native waters than they are to humans. People eat jellyfish in some Asian cultures, yet they are more of an annoyance than anything else. Yet, the jellyfish may provide key nutrients to the predators above them, and that makes them worth studying to some. The Sea Wasp is a type of box jellyfish found of the coast of Australia and the Philippines as well as other islands in the Pacific Ocean. It is not particularly large; however, it deserves mention for one reason. The Sea Wasp is known as the most lethal jellyfish in the sea. It is known to be responsible for at least 65 deaths of humans. The Sea Wasp’s venom attacks the cells by making them porous. Each cell leaks potassium into the blood stream, which can cause cardiac arrest. The victim can die within two to five minutes. The Sea Wasp has problems seeing colors, but can see red and will avoid it. So Australian beaches have red nets under the water to protect swimmers. We generally think of jellyfish as having the same body style, a bell body with tentacles extending from underneath. However, the jellyfish aren’t all made this way. Some jellyfish are just invertebrates with comb-like cilia called “comb jellies.” The Venus’s Girdle jellyfish is one of those. It appears to be a translucent purple ribbon floating in the water. They can grow up to 3 feet long, but are generally only a few inches wide. Like other jellyfish, they feed on plankton or crustaceans but they are not venomous. This jellyfish has tiny tentacles it uses to capture prey, but only on one side of its body. Its mouth is on the opposite side. It curls itself to eat. The Rhizostoma pulmo, has many endearing names besides Barrel, typical of the British. It is also known as the “dustbin-lid fish” and the “frilly-mouthed jellyfish.” Those nicknames may be more appropriate than the barrel because they accurately describe the jellyfish’s shape. The fish has a diet typical of jellyfish, but is known to be a favorite meal of the leatherback turtle found of the English coast. The barrel has increased in population in the English waters in recent years. Oceanographers observed a 3-foot wide barrel in 2014, the largest ever. The appearance of this jellyfish is well-stated in its name. It has vertical stripes on its bell and it has some similar colored spots peppered throughout. Its tentacles are not particularly long. It has 8 long arms and 4 arms near its mouth. The fish will paralyze its prey with the outer arms and move the paralyzed victim inward towards the mouth. 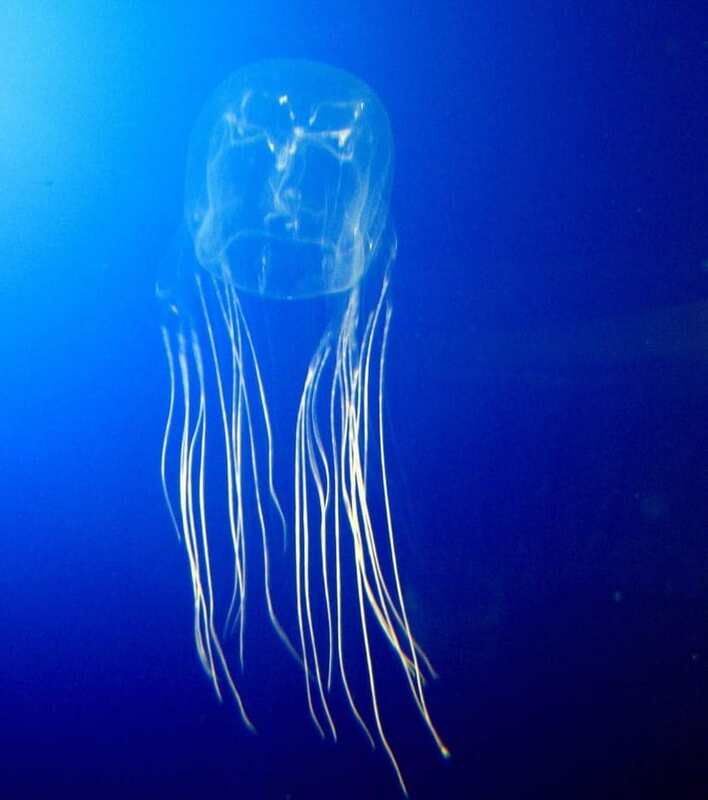 It eats fish eggs, tiny fish, other jellies and the zooplankton typical of a jellyfish’s diet. When the purple striped jelly travels, it’s usually with some companions. Cancer crabs hang on to the fish and eat the parasites that damage the jellyfish. The Tiburonia is a recent discovery by a crew from the Monterey Bay Aquarium Research Institute in 2003. 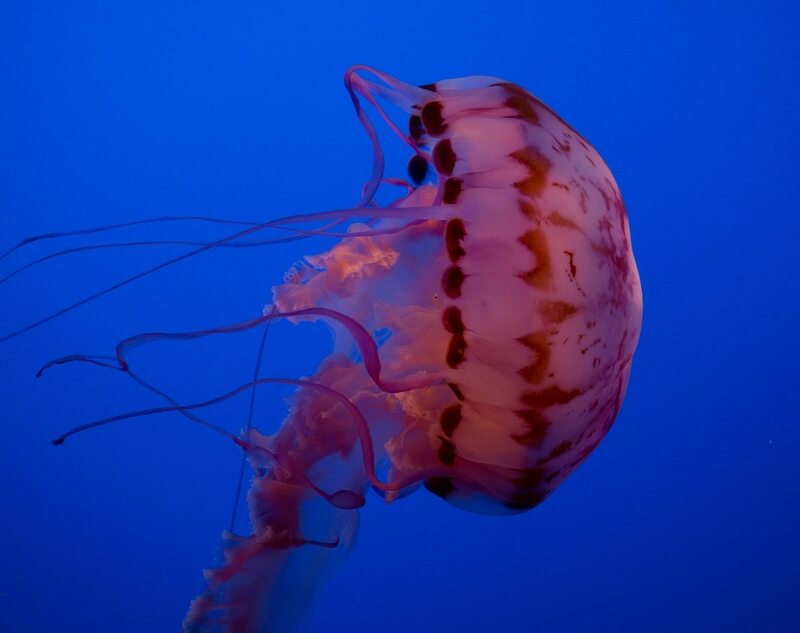 The jelly lives deep in the ocean and can be found as deep as 5,000 feet below sea level. That’s so far down that the vast majority of photos taken of the fish are from remote controlled submarines as it’s too dangerous for humans to safely travel. 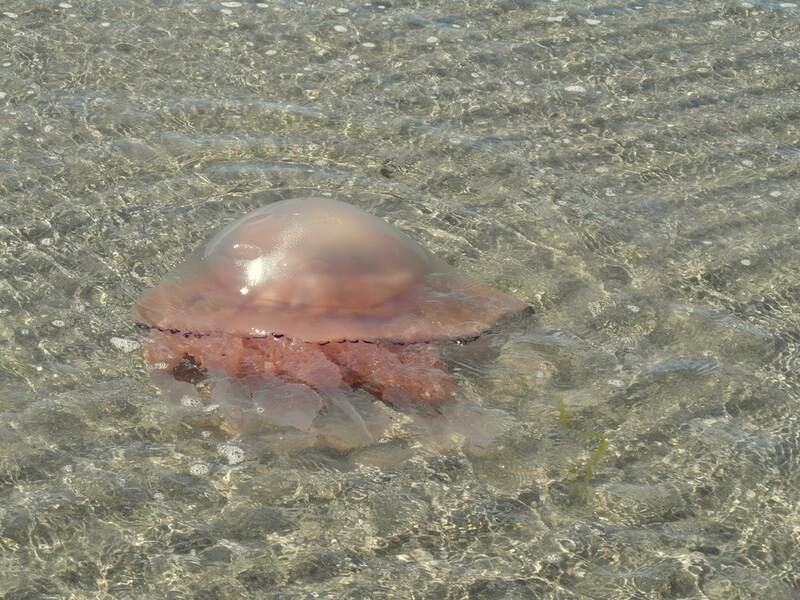 As such, little is known about the Tiburonia as only one tiny jelly has been captured. The Tiburonia doesn’t have tentacles. It has fleshy arms covered in stingers. It appears that it is suited for eating other fish or jellyfish. The Sea Nettle is a genus of jellyfish. There are two large species that are similar in size, shape and behavior, the Black Sea Nettle and the Pacific Sea Nettle. The major difference between them is the color and favored habitat. 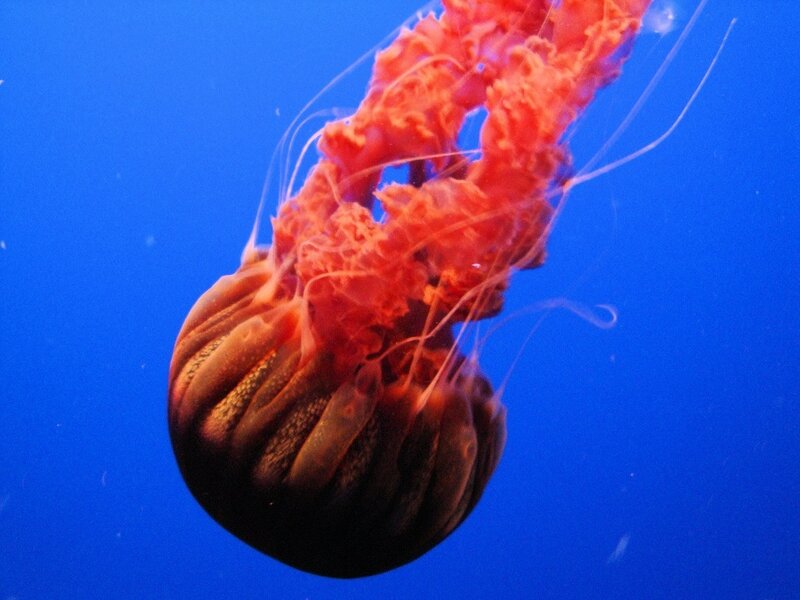 The Black Sea Nettle is of a dark maroon color while the Pacific is near translucent. Sea Nettles in general are favored by commercial aquariums because of their dramatic tentacle array and bright color. The Black Sea Nettle was first described in the late 1990s. It is the largest invertebrate species described in the 20th Century. 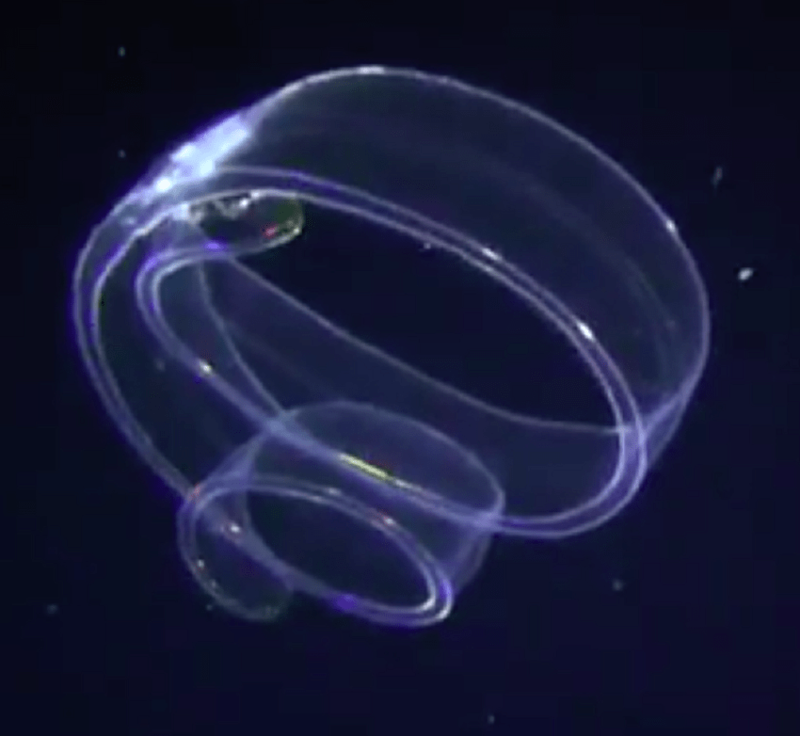 If any jellyfish resembles a movie monster, it’s the Stygomedusa. The size of its swimming bell is impressive at three-feet (1 meter) in diameter. However, has four long arms (rather than tentacles) that can reach up to 30 feet long. The jellyfish is found way down near the ocean floor at depths of 7,000 feet. 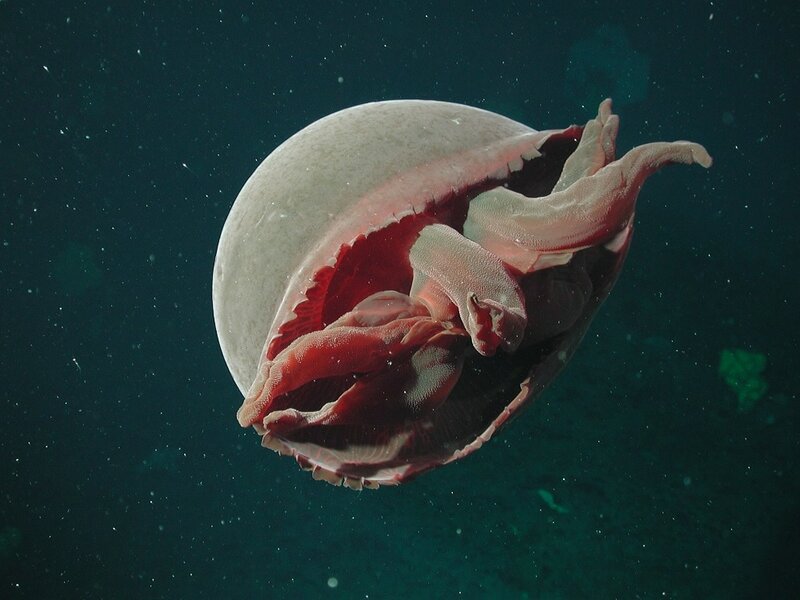 Researchers are unsure as to how it eats or sees in the crushing darkness of the ocean at that depth. They believe the jelly pulls in small fish with its arms to its mouth. It doesn’t have stingers to paralyze prey as most jellyfish do. The jelly lives too deep in the ocean for regular study. There have been just over 100 sightings since the fish was first described. 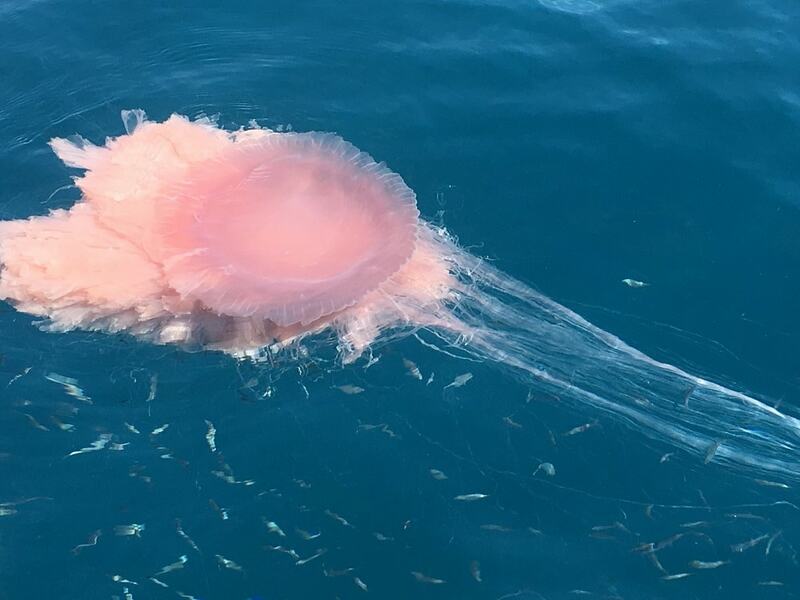 The recently described species is called “Pink Meanie” because of its predatory behavior, eating other jellyfish. From under its 3-food in diameter bell extends long tentacles of different lengths, sometimes organized into a “curtain.” It uses the standard method of stinging and then swallowing prey, except that there are no internal stinging organs in their stomachs like many jellyfish have. Scientists believed the Pink Meanie were part of another species, but after having the opportunity to observe and test them in the Gulf of Mexico, the scientists determined that they were an entirely new species. The Pink Meanie has over 200 stingers on average attached. This giant jellyfish is not only big – nearly the size of a human – it is heavy, weighing an average of over 400 pounds. It is named in tribute to the man who discovered the jelly, Kenichi Nomura, a fisheries expert. 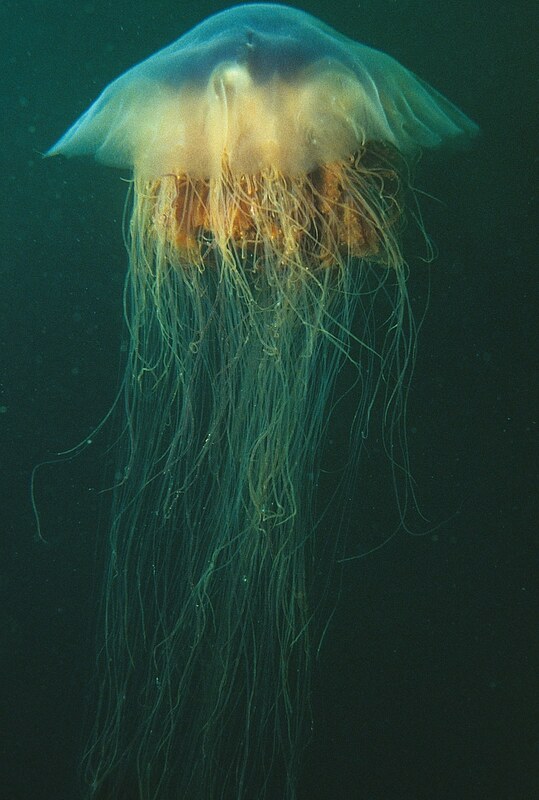 Nomura’s jellyfish is a meal for many of the large fish in the Sea of Japan, as well as humans. The Japanese eat jellyfish, though not Nomura’s as it is not considered suitable for fine dining. Eating the fish, however, is considered one method of solving the problems it is causing the Japanese fishing industry. The species can become entangled in nets and it eats fish that might normally be sold and consumed by the local population. You can taste Nomura’s jellyfish as an ice cream flavor in Japan. 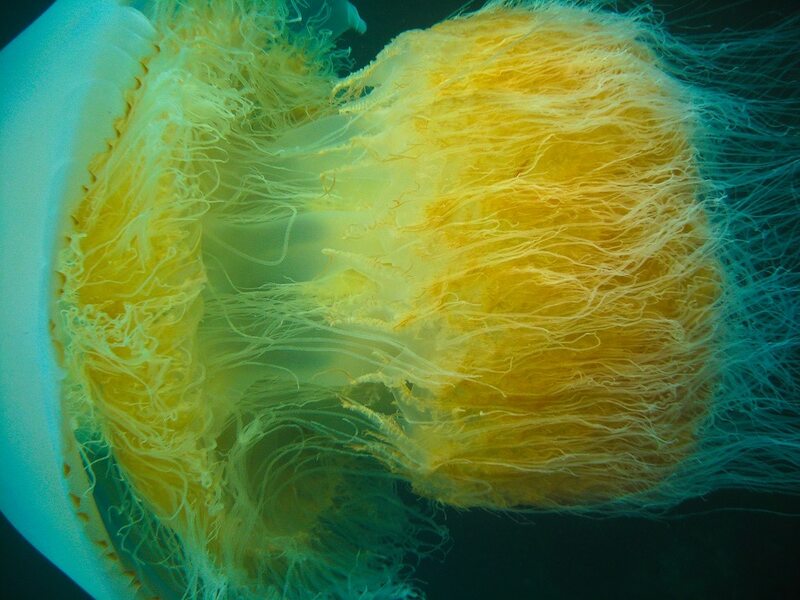 The Lion’s Mane is the largest known species of jellyfish. It prefers the cold waters of the north Atlantic and sticks relatively close to the surface of the sea. A weak swimmer, it uses the current of the ocean to get around. It depends on getting plankton as it drifts, or capturing with its long tentacles prey if it is attracted to the creature’s bioluminescence. This jelly’s bell is divided into 8 lobes, each with its own section of tentacles (numbering around 100). It can have as many as 1000 tentacles on the outside with more near the creature’s mouth. There is a life-sized replica of a Lion’s Mane Jellyfish in the Smithsonian Museum of Natural History.